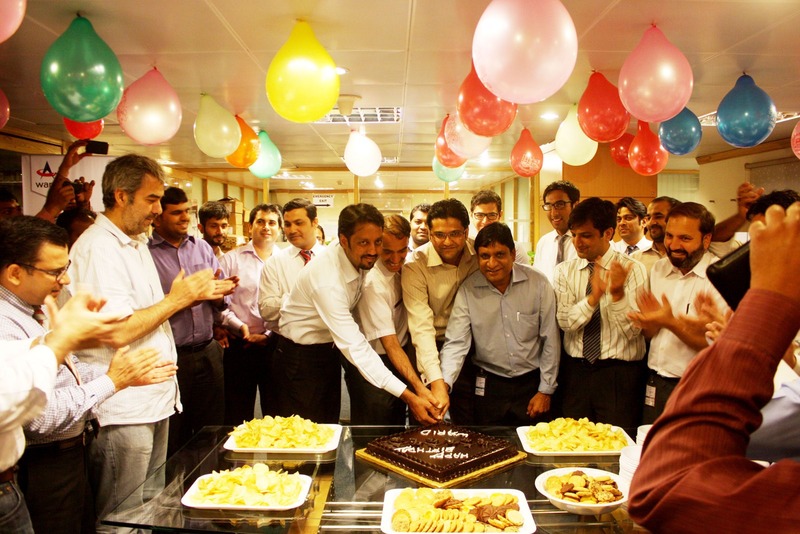 Warid Telecom today announced the completion of its eighth year of operations in Pakistan. Warid Telecom entered the Pakistani market in May 2005. Warid claims that its unique products and consistent advances in technology and services, company added its share to the Pakistani telecom sector, the economy and as a partner for the people of Pakistan. From its entry into the market eight years ago, Warid has grown to become one of the largest service providers in the country, garnering a number of accolades and awards along the way, including recently winning the Highest FDI (Foreign Direct Investment) Excellence Award in May 2011. The company was also nominated twice for Pakistani Brand of the Year in 2007 and 2008. “We are delighted to have completed eight successful years in Pakistan. We would like to thank our loyal customers for their unwavering support and patronage throughout this journey. The company created one of the country’s first youth-centric brands, Glow by Warid, which is one of Pakistan’s most popular and in demand cellular brands. Warid continues to work with organizations and people in Pakistan for the development of the country and its economy, including projects with the SKMT (Shaukat Khanum Memorial Trust), Pink Ribbon Pakistan, The Prime Minister’s Flood Relief Fund, Anti Dengue and Polio drives, Student Career Support Program ‘Transforming Futures’, Government College Lahore endowment fund, LUMS and other Young Leaders support sponsorships. Warid is well and truly the best cellular network in Pakistan. I’ve had it for 7 or 8 years and there has not been a single occasion where I’ve seen signal drops (in Rawalpindi) and VERY rarely has there been an occasion where I was unable to make a call because of the network. On the other hand in the same house if I’m using UFone or Telenor I have to go outside to get reasonable call quality. Credit goes to Warid for not whoring itself out like all other networks; especially UFone. Yes, I am also a warid customer and I am very satisfied with its performance. I used ufone for a few days but I was not even able to call anyone because of network overload even if my call is connected somehow I will get the most pathetic call quality. My suggestion is just keep yourself away from ufone. Your site is completely garbage with the new ad banners. I had always been a strong advocate of Ufone. And Ufone still is the most economical network out there. However i shifted to Warid quite recently and have found its signal quality and call connectivity quite exceptional.. Keep it up guys! i dont saw any add in this blog because add blocker block them. I am surfing through iPhone so the ads are covering the whole screen with countdown to let you skip ads. exceptional. Keep it up guys! it will, but any how network remains same might be with new name.